Why Eco-Friendly Food Packaging is Important - Combined Technologies Inc.
Food packaging companies face all sorts of challenges when it comes to managing the balance between promoting fresh, eye-appealing products and protecting the environment. Despite their best efforts, reducing excess packaging is difficult – but making the shift to more sustainable options may help to bridge the gap between waste and eco-friendliness. Waste is a huge problem in the United States and other developed countries, and even as everyday consumers become aware of the true impact of excess waste, they continue to order or buy foods based on convenience. For example, going to the market and purchasing the ingredients needed to put together a meal produces far less waste than simply ordering carryout, but it’s less convenient and therefore less desirable. Of course, restaurants must package their foods correctly, which means there’s little to be done about waste in this case. Making the switch to eco-friendly packaging is the next best option. Why Aren’t More Companies Using Eco-Friendly Packaging? Eco-friendly packaging can be described as any packaging that comes from a sustainable source. This may include products made from quick-growing plants like hemp or bamboo and plastics derived from plant oils rather than petroleum products. The trouble with this is the cost; there’s no doubt that sustainable packaging costs more at the source than traditional plastics which are mass-manufactured in facilities across the country. In recent years, though, the cost has started to drop as more manufacturers have realized the importance of providing such packaging. Bioplastics (another name for eco-friendly, plant-based plastics) have come down in price a great deal, but they still cost more than their traditional petroleum-based counterparts. Nevertheless, consumers have expressed time and again that they are willing to pay more – within reason – for products that meet their individual standards as they relate to eco-friendliness and ethics. The first step in making a move toward sustainable packaging is finding a food packaging company that offers said services or materials at a reasonable price. Using simpler materials is an option, too; rather than eye-appealing packaging that uses excessive plastic, consider cutting back on the gimmicks and making the food product itself the star of the show. Heat-sealed vacuum bags and even mesh containers can do just that. Rubber-banded or bagged items are also ideal as they help to cut back on waste substantially – and it’s even better if the packaging products are recyclable, too. You can also seek contract packaging companies that offer access to bioplastics and foils that can be recycled and reused. These products are becoming more and more popular among consumers who want to reduce their own footprints by cutting down waste. Ultimately, the companies who offer up excellent foods and beverages in sustainable and recyclable packaging will fare the best in coming years. 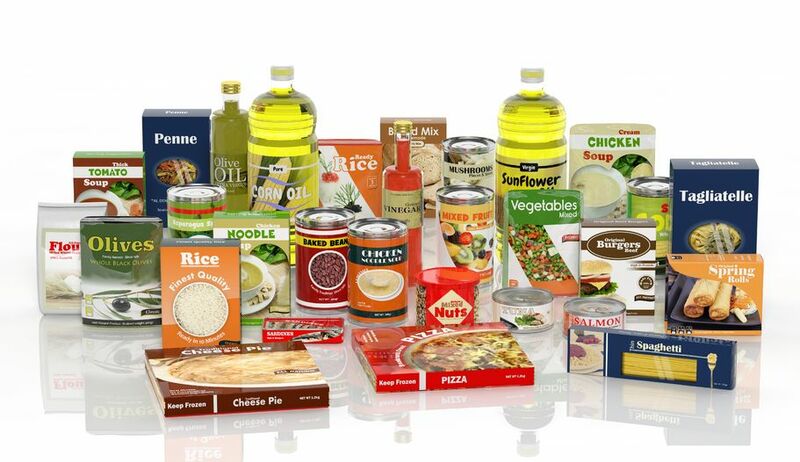 Combined Technologies is proud to offer eco-friendly food packaging solutions to our clients. We work hard to reduce excess packaging without compromising the quality and freshness of our clients’ products. In the end, your customers – the ones who consume the products you make – should have fresh, delicious food that is packaged in materials they can feel good about.